Is Roof Maintenance Right For My Building? Home/News/Roofing/Is Roof Maintenance Right For My Building? Every commercial property owner needs to be concerned about roof maintenance. Neglecting to develop a maintenance plan can lead to extra unwanted expenses. 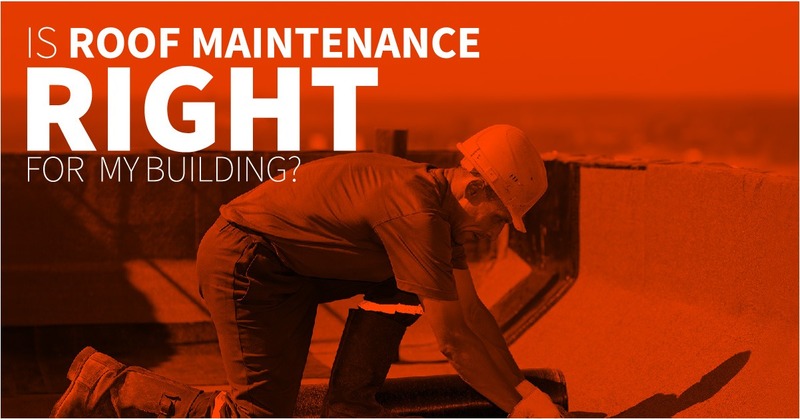 Here are reasons why proper maintenance planning is essential for a safer environment and more sound business decisions. You can broaden your knowledge as a commercial property manager when you sign up for a roof maintenance plan with Vanguard. This plan, which comprises routine inspections and maintenance, will guide you toward protecting the value of your property’s assets from climate conditions. The information will not only help preserve your roof, but will help you plan on a future replacement. The documentation you will receive once you sign up for a maintenance plan will include our Planned Preventative Maintenance Agreement and your commercial roofing warranties that provide coverage up to 25 years. A roof maintenance plan helps business leaders make informed financial decisions since it will provide predictable expenses for budgeting. It will also reduce maintenance costs if you follow the instructions for improving energy efficiency. Vanguard offers green roofing solutions that can further help lower expenses. Both small and large companies can benefit from a commercial roof maintenance plan, which is all about catching repair issues early before they turn into big costly problems. You can streamline your roof care by partnering with a roofing expert who can routinely assess your roof’s condition and expected lifespan. The plan will give you and your employees a clear idea on how to respond to specific roof issues. Working with responsive and dedicated roofing experts is the key to long-term savings on energy and roof maintenance. A major benefit is that you know skilled technicians will use the proper tools and procedures to ensure proper repair work. Agreeing to a maintenance plan that guarantees inspections and preventative maintenance will set you on the path toward roof longevity. Contact us at Vanguard Roofing to learn more about how we can protect your roof so that you can focus more on your core business.